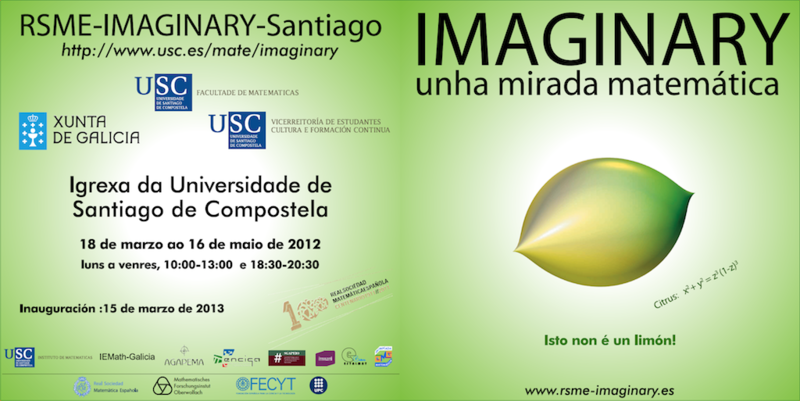 The RSME-IMAGINARY exhibitions also continue in 2013: Santiago de Compostela will be its first prominent host. The exhibition will be shown in the University Church, a 17th century Baroque building. The first exhibition RSME-IMAGINARY after the launch of OPEN IMAGINARY was inaugurted on march 15th by the rector of the Universidade de Santiago de Compostela, Juan Casares, the RSME president, Antonio Campillo, and the RSME-IMAGINARY coordinator, Sebastià Xambó. The local committee is coordinated by Victoria Otero Espinar, dean of the Faculty of Mathematics. One innovative aspect of the exhibition is the addition of Galician versions of the panel texts and of the interactive IMAGINARY creations. 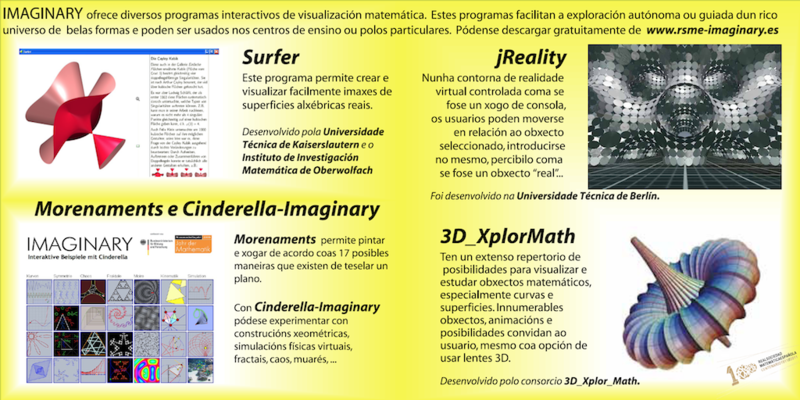 The photography collection “O sabor das Matemáticas” originated and displayed already in the Málaga exhibition is also included in RSME-IMAGINARY-Santiago. This collection is a collaborative contribution of the photographer and mathematician Pedro Reyes, the cook José Carlos García and the mathematician Mercedes Siles. RSME-IMAGINARY-Santiago is housed at the Church of the Universidade at the historical center of Santiago de Compostela, at short distance from the Obradoiro Square and the Cathedral, the end point of the Jacobean Way, a major pilgrimage route since the Early Middle Age. The Church itself is one significant part of City Patrimony, so that the exhibition at Santiago de Compostela interlaces patrimony, art and mathematics.